A suspected intruder was shot and killed aboard a boat docked at a National City pier Tuesday morning, after he released the lines to the dock and forced his was on board, according to police. 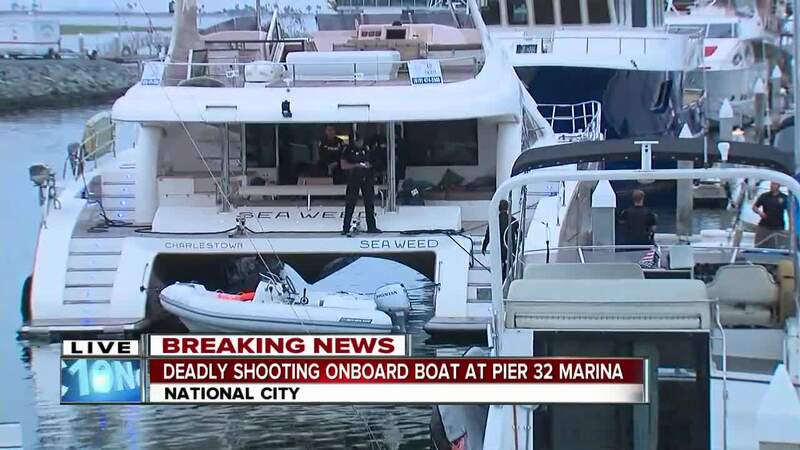 NATIONAL CITY, Calif. (KGTV) - A suspected intruder was shot and killed aboard a boat docked at a National City pier Tuesday morning. The shooting was reported at around 4 a.m. at Pier 32 Marina on 3201 Marina Way, according to National City police. Several witnesses told 10News they were asleep in their boats when they heard at least four gunshots coming from a nearby yacht. 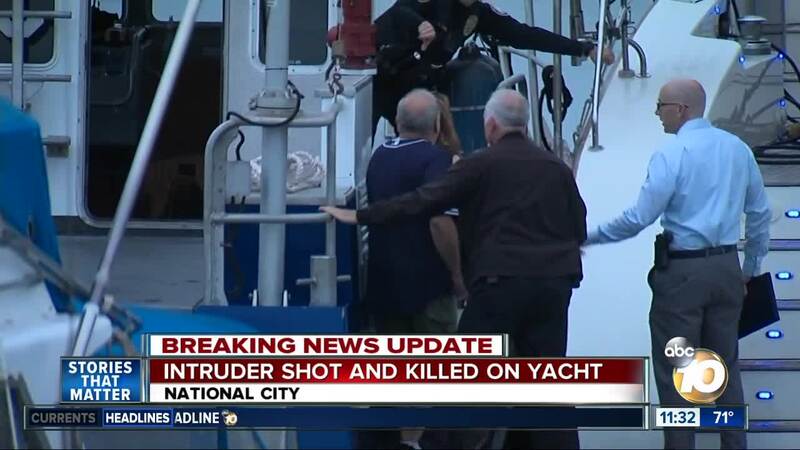 According to witnesses, a man emerged from the yacht and yelled out for help, telling others that he shot and killed an intruder. 10News learned a man, a woman and a dog were in the boat when the suspected intruder boarded the vessel. Police told 10News the suspected intruder was trying to commandeer the boat and untied the line to set the boat adrift. He then forced his way onboard and got into a struggle with the couple. The suspected intruder, who was not immediately identified, was pronounced dead at the scene. National City police and San Diego Harbor Police officers searched the yacht and surrounding area, and officers determined that there were no outstanding suspects to pursue in the incident. The couple on the boat suffered some injuries, but they were not taken to the hospital. 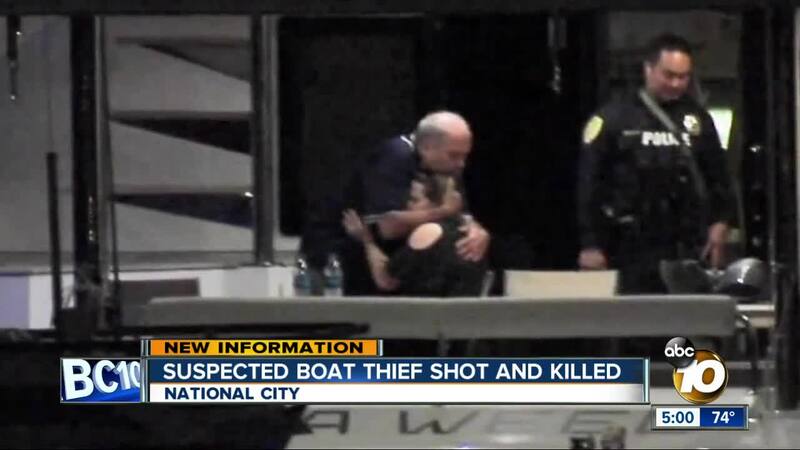 Police told 10News that the couple are the parents of the yacht’s owner. While police did not immediately identify the owner, several neighbors told 10News reporter Mimi Elkalla that the owner of the boat is medical marijuana entrepreneur Michael Llamas, who died in a fiery Lamborghini crash on Harbor Drive in November 2017 . Llamas’ passenger, 26-year-old model Stephanie Rivera, also died in the wreck. The yacht, named Sea Weed, is currently listed for sale at $1.8 million, 10News learned.